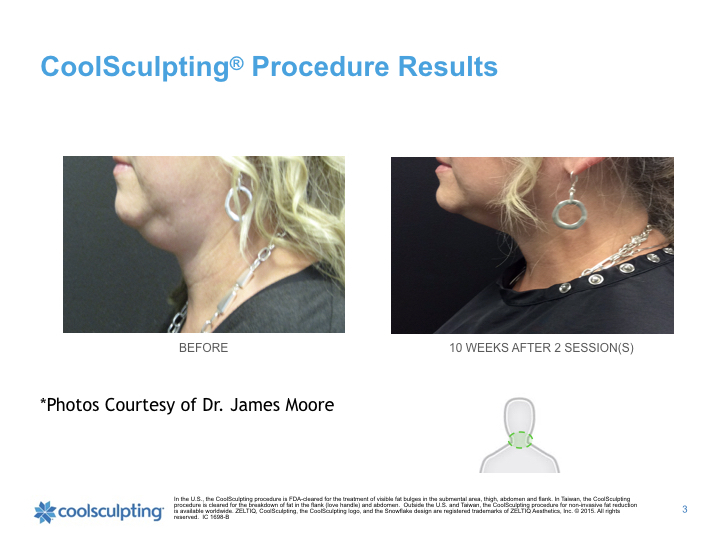 Coolsculpting — The Moore Center For Plastic Surgery, P.C. 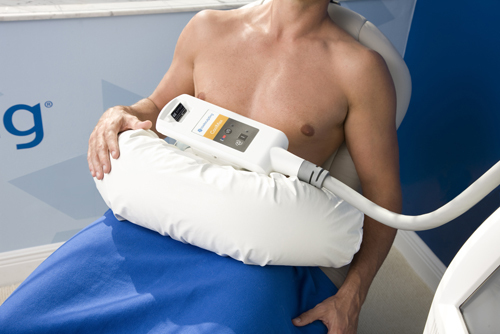 It's an innovative way to contour your body by freezing unwanted fat away with no surgery or downtime. With more than 5 million CoolSculpting treatments performed worldwide, people everywhere are getting a better view of themselves, thanks to the one-of-a-kind CoolSculpting procedure. Freeze away fat? It comes down to science. Fat cells freeze at higher temperatures than surrounding tissues. CoolSculpting technology enables us to precisely target fat cells beneath the skin, and cool them to temperatures that trigger their natural death. This process, known as Cryolipolysis®, results in the treated fat cells becoming crystallized (frozen), and actually die. Because however the fats crystallize faster than normal cells, there is no damage to skin, nerves or other surrounding tissue. Over time as the treated fat cells shrink and die, your body naturally metabolizes them, eliminating these dead cells, and leaving a more sculpted you. Unlike with diet or exercise where the fat cells are reduced in size, with CoolSculpting, once the treated fat cells are gone, they're gone for good. With each session you are able to decrease the number of treated fat cell by about 20%. Each additional treatment further enhances your results, ridding you of an additional 20% of the treated fat cells per session. With CoolSculpting at Ideal Image, it’s easy to sit back, relax and reduce that stubborn fat. Some diets and fat-reduction treatments can leave you swinging back and forth between "before" and "after" versions of yourself. CoolSculpting results speak for themselves. You can see the dramatic differences, again and again, in these Before & After photos. The CoolSculpting procedure can help both women and men get rid of those stubborn bulges, for good. Take the next step to a slimmer you.